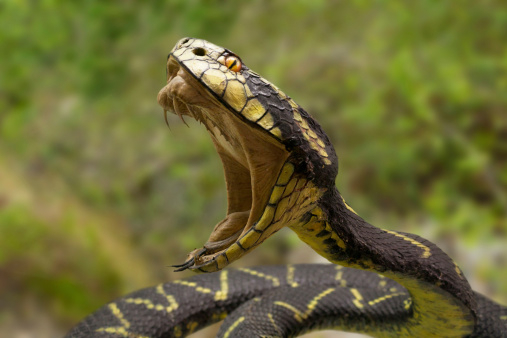 Every year, about 100,000 people die and 400,000 are permanently disabled or disfigured as a result of poisonous snakebites. According to a statement released by Doctors Without Borders, this number is likely to rise, as all existing stocks of the best available antivenom will expire within a year and no replacement is available. The antivenom, Fav-Afrique, was produced by the Sanofi Pasteur company. It is the only antivenom treatment that has been proven to be safe and successful at treating bites from multiple types of snakes across the Sub-Saharan Africa region. Normally antivenoms need to be matched to the type of snake in order to ensure successful treatment, but because Fav-Afrique can treat venom from multiple types, it cuts out this sometimes time-consuming or even impossible step. Sanofi Pasteur stopped making Fav-Afrique in 2014, citing competition from cheaper antivenom makes, forcing it out of the market. Existing stockpiles of Fav-Afrique are due to expire by the end of June 2016. There are other antivenoms available, but these are not as versatile as Fav-Afrique and lack the drug’s proven effectiveness. The lack of versatility is a known problem. In some cases, doctors have declined to even attempt an antivenom treatment since it was made for the wrong snake. For its part, Sanofi Pasteur has offered to transfer the technology and formula for Fav-Afrique to other interested manufacturers, but interest has been limited. The World Health Organization (WHO) has cited a lack of donors as part of the reason a resolution is taking so long. At the current rate, it will take at least two years for a proper Fav-Afrique equivalent to be made by another company. This will create a roughly one-year gap where the death and disability rates from snakebites are expected to rise due to the lack of treatment. The WHO considers snakebites to be a “neglected condition with no formal program” despite their prevalence. Roughly five million people are bitten by poisonous snakes each year, mostly in African or South American countries and in rural areas. “Snakebite Anti-venom Running out Worldwide, MSF Says,” CBC News web site, September 7, 2015; http://www.cbc.ca/news/health/snakebite-anti-venom-running-out-worldwide-msf-says-1.3218177.